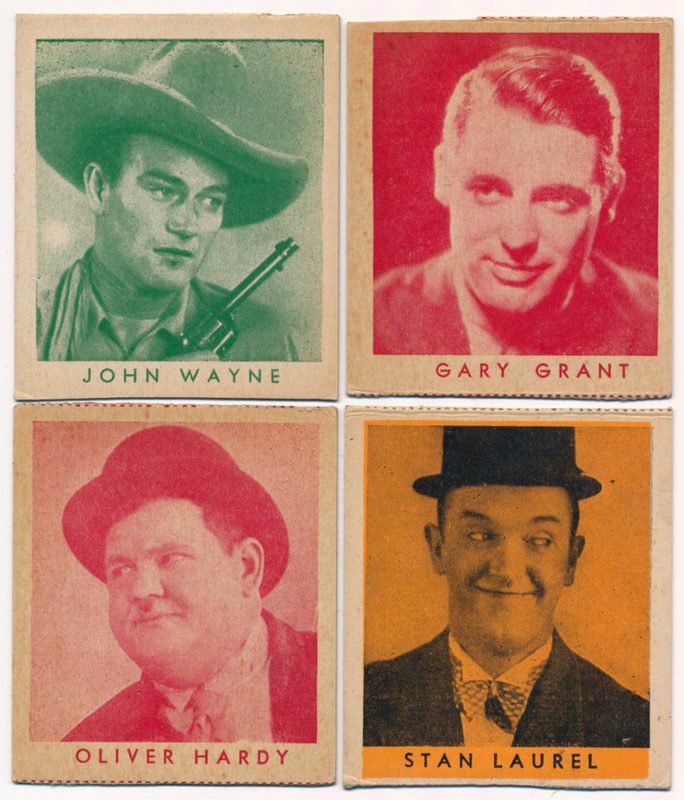 A who's who of Hollywood in the 1940s, these is a very nice looking set. Generally well cut, these display really well. The backs have a biography, these are numbered from 101-196.